There is redemption in vengeance. 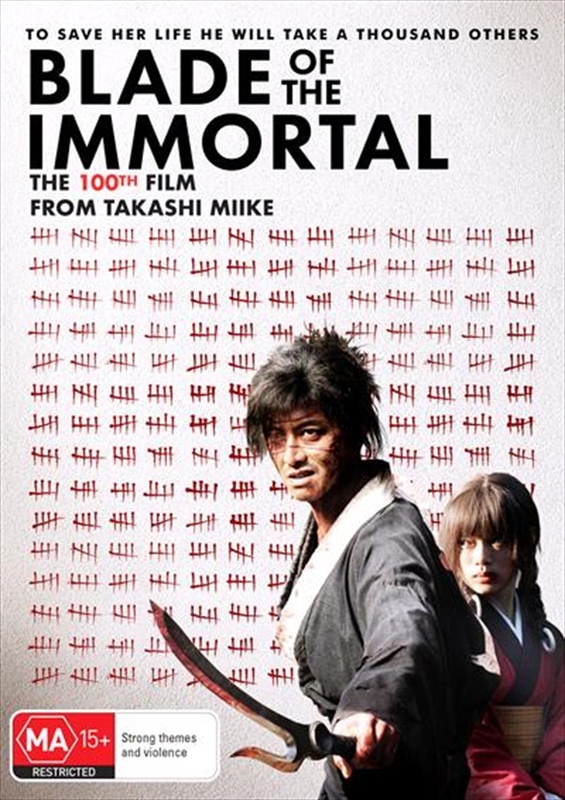 Manji, a highly skilled samurai, becomes cursed with immortality after a legendary battle. Haunted by the brutal murder of his sister, Manji knows that only fighting evil will regain his soul. He promises to help a young girl named Rin avenge her parents, who were killed by a group of master swordsmen led by ruthless warrior Anotsu. The mission will change Manji in ways he could never imagine - the 100th film by master director Takashi Miike.